It doesn't matter if you're rocking a graphics card from AMD or Nvidia; if it's been more than a day since you last you updated your drivers, there are new ones available. We'll start with AMD, which released its Crimson Edition 16.6.1 Hotfix on Monday. 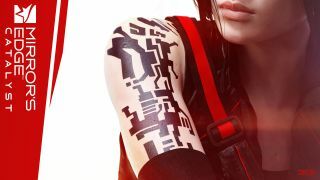 The main reason for the driver update is the release of Mirror's Edge Catalyst, a sequel to Mirror's Edge from 2008 (check out our full review). AMD's latest driver includes optimizations for the title, as well as Paragon, which is scheduled to have a Double Reputation weekend from June 9-12. You can download the latest AMD drivers here. [368.25] GeForce GTX 1080 Founders Edition cards spin fan up and down rapidly. Eliminate stuttering in Total War: Warhammer. 368.22] X-Legend Entertainment reports that Laplace fails to launch. [368.22] Stutter occurs during full-screen playback of YouTube videos in Edge browser. [365.10] Metal Gear Solid V: The Phantom Pain launches to a white screen. System hangs during transition from monitor sleep to system sleep. There are two fixes that apply to previous versions of Windows down to Windows 7. One is the elimination of stuttering in Total War: Warhammer, and the other is a lowered 3D Vision rating for WarThunder. You can download Nvidia's latest drivers here.